Are you writing a religious or spiritual book? Here are some tips from 48 Hour Books to help you through the process of religious self-publishing & printing. 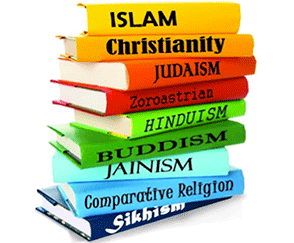 There are different categories of books that fall into the religion and spiritual genre. Your book may be academic, exploring one or many religions, supported by research. Another popular format is writing a memoir, detailing how religion has personally impacted your life. Or you may be printing a guide, such as a devotional or journal, used for everyday life and the readers' personal religious advancement. Spiritual books focus on broader themes, such as family values, living a better life, and other inspirational tropes. They also tend to steer clear of organized religion, and focus on the individual's interpretation of the soul or the spirit. The structure of your book is going to vary based on your content. If you are writing a memoir or informational text, a standard format can be used. You can divide your book into chapters, sections, etc., with a Table of Contents for reference. If you are writing a devotional or journal, then your book is going to be structured differently with the days of the week as headers, your desired text for that day, and space for notes. We recommend researching your favorite devotionals and journals to see what style you like best. There are many opportunities to be creative before you begin the religious book printing process! You can type your book directly into the template and set it up any way you choose. Be sure to choose the right page size, and when you're done formatting, simply convert the file to PDF format, and the resulting PDF file will be ready to upload to us. You'll upload your files directly to your order, so you'll need to place an order first on our website. If you get stuck or have any questions, remember, we're just a phone call away ... 800-231-0521. For devotionals and journals, you may opt for coil binding since they will be used for writing in. We recommend our 70# or 80# Offset paper for this! Perfect Bound books are always a popular choice and are great for most orders because they keep the cost down, but still hold up very well over time. At 48 Hr Books, our STANDARD turnaround for Perfect Bound books is just 2 business days. Nobody else in the world offers this as their standard turn-around. And if that's still not quite fast enough for you, we even have Rush and Super Rush options available. For something more attention grabbing, we offer Foil Stamping, Dust Jackets, and Diamond 3D Covers. The cover is the first thing the reader sees, so you want to make sure that it catches their attention by choosing an interesting graphic or font … just make sure it's easily readable. At 48 Hr Books, all of our covers are printed in full-color at no extra charge, so liven your cover up with some color! We recommend your images be at least 300 dpi (dots per inch). This will ensure your graphics look crisp and clear. If you need help constructing your cover, 48 Hour Books has a Create-a-Cover option for $100. With this option, you can choose a general layout, a background color and texture, and any additional instructions and photos you want included. Upload all the photos to your order on our website, and our prepress technicians take your options and assemble your cover using these elements. The $100 is a one-time fee, so if you receive your cover proof and decide you want to change an element on it such as the background color, this is no problem. Of course, if you have InDesign, you can use one of our Free Cover Templates to design your own cover.